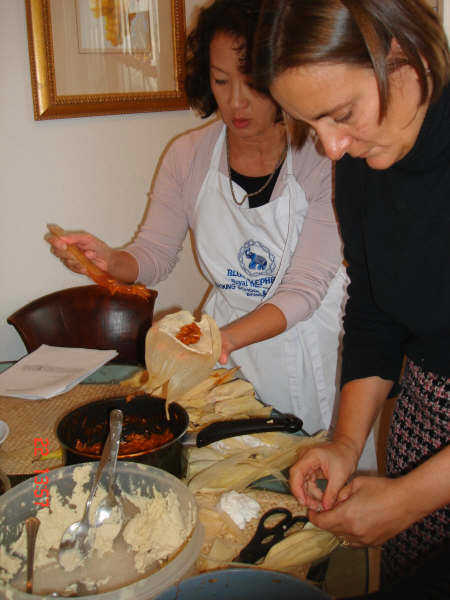 We learnt how to make Tamales with Leticia. Wow, what a lot of work, but they were worth the effort. 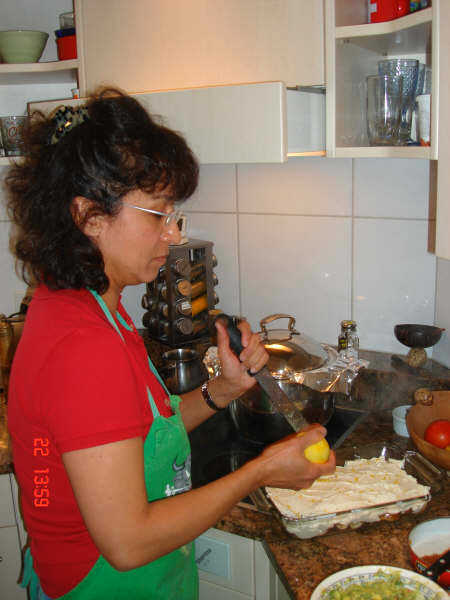 Thanks Leticia for these great recipes! 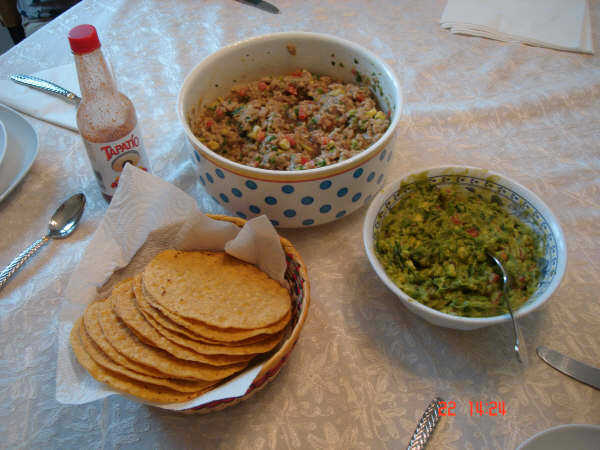 Finely dice the tuna and place in a bowl. Add the lemon juice, sesame oil and coconut milk and let stand for at least 30 minutes. 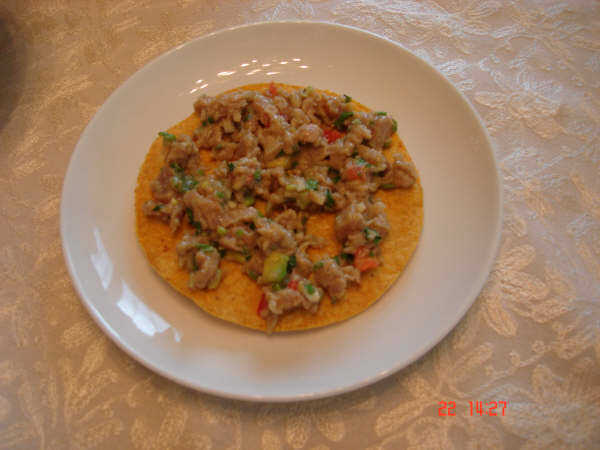 Add the rest of the ingredients and serve on tostadas. Using a small soup pot, add 5 cups of water, beef chunks, 1 smashed garlic clove, 1 whole onion, cilantro and salt to taste. Boil for about 1/2 an hour then add a peeled potato and 2 peeled carrots. Continue boiling beef on low fire another 1/2 hour or until beef is tender. Cool beef and shred. Finely chop potato, carrots, 1 onion, 3 tomatoes and 3 garlic cloves. In a medium frying pan sauté onion in 4 tablespoons oil for about 5 minutes. Add garlic, cumin and sauté 2 minutes more, then add tomatoes and continue sautéing until tomatoes are cooked through. Add shredded beef, potatoes, carrots, roasted Red Chile Salsa, salt and pepper to taste. Line a sauté pan with enough aluminum foil to completely cover tomatoes. Heat pan on medium fire and roast/blacken whole tomatoes and chilies; enclose them with foil so they cook through. Occasionally turn them to ensure they are blackened all around. Once cooked, put tomatoes, chilies, garlic, water, marjoram and salt in blender. Blend till smooth. 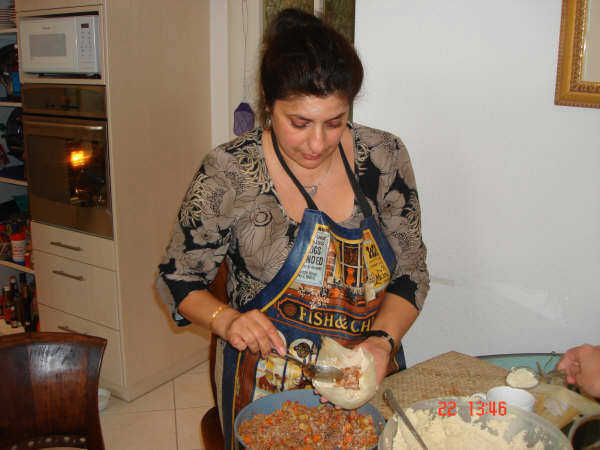 In a soup pot add 6 cups water, chicken, onion, oregano and salt to taste. Boil for 1/2 hour or till chicken is tender. Once chicken is done, let it cool then shred. Using 4 cups of the chicken broth, boil the Ancho chilies for I 5 minutes. Put chilies, broth, garlic, corn flour, and salt in blender, blend till smooth. Using a medium sauce pan, heat 4 tablespoons oil. Strain chili mixture and add to sauce pan. Stir continuously till sauce thickens. Add more chicken broth or corn flour as needed to make the sauce a medium consistency. Let sauce come to a boil then add shredded chicken. 1 cup long grain rice, rinsed with hot water then cold and air dried. 35 to 40 cornhusks soaked in hot water for 30 minutes. 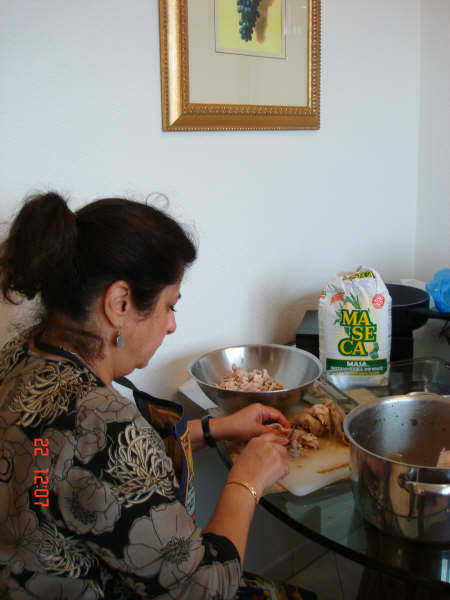 Using a food processor, grind rice till grainy consistency, similar to ground coffee. 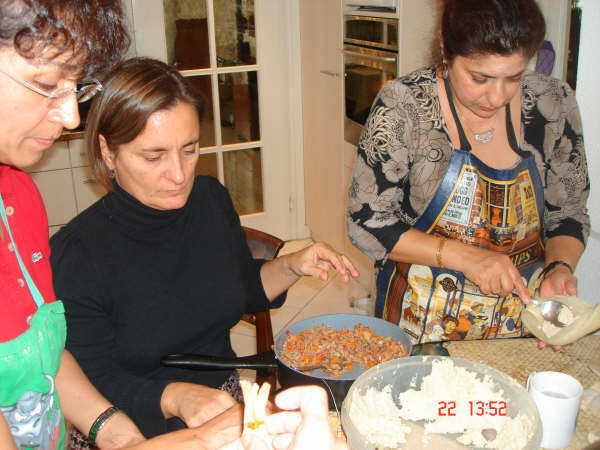 In a large mixing bowl, mix all dry ingredients (including rice). 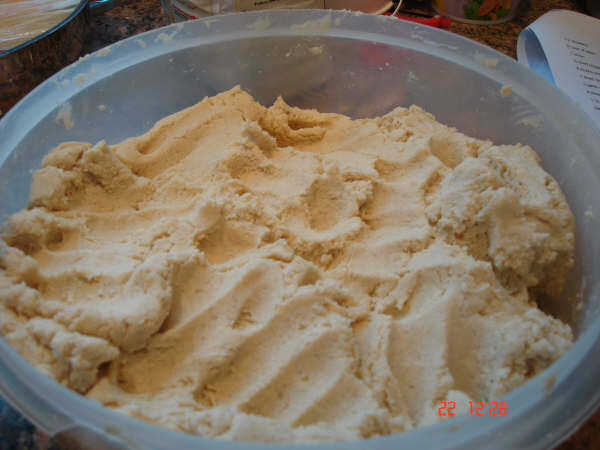 Add shortening and blend with your hands until it is incorporated with the flour. 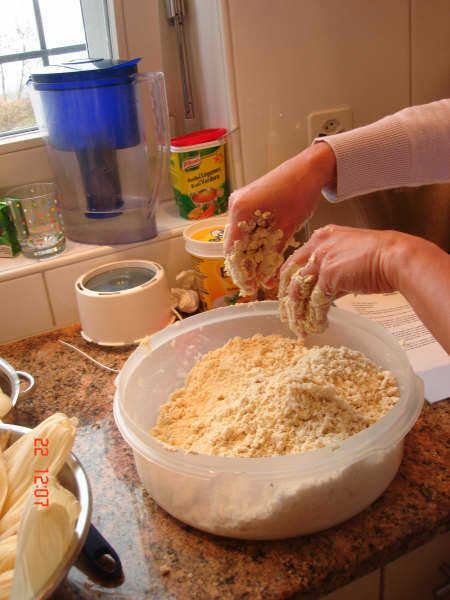 Add cold water slowly and continue to knead until the dough is a soft non-sticky consistency. Taste and add more salt if necessary. 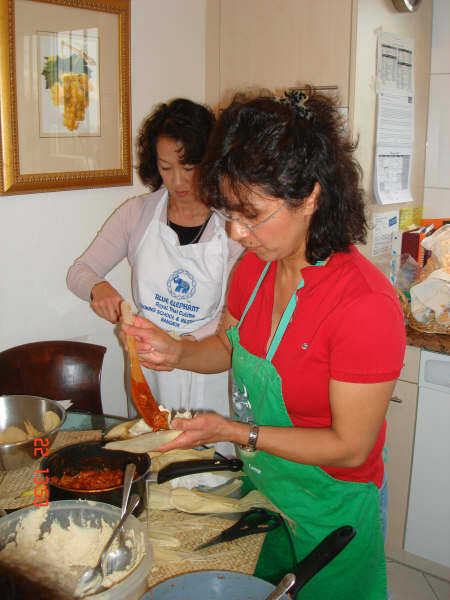 When dough is ready, place 2 tablespoons of dough on husk, press dough with back of tablespoon and spread it on the husk to form a small rectangular shape (about 4 inches long and 2 inches wide). 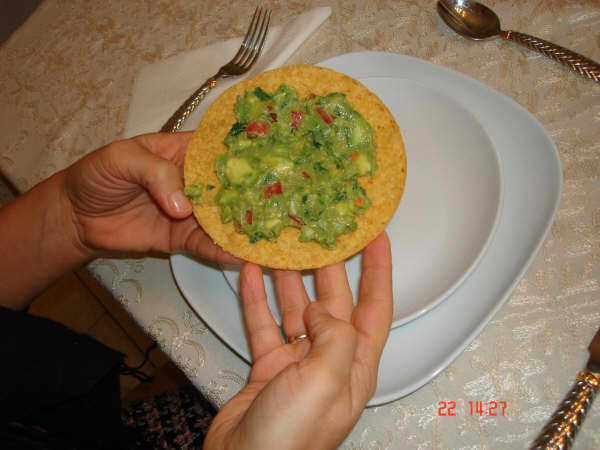 Place one tablespoon of desired filling atop dough and enclose completely with the husk by rolling. Tie both ends of husk with a string (strings can be made by shredding a husk). 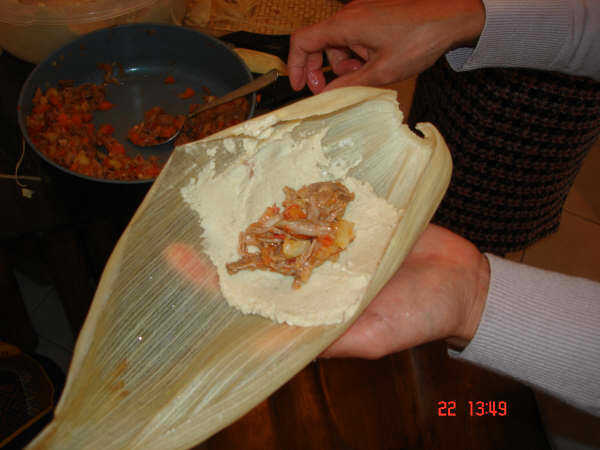 At this point Tamales can be frozen for later use or cooked. 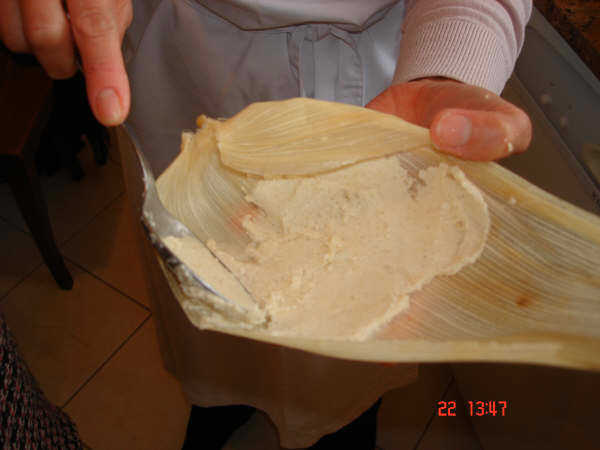 Place Tamales in a steamer. Steam for 30 minutes then open lid and lets cool for 10 minutes. 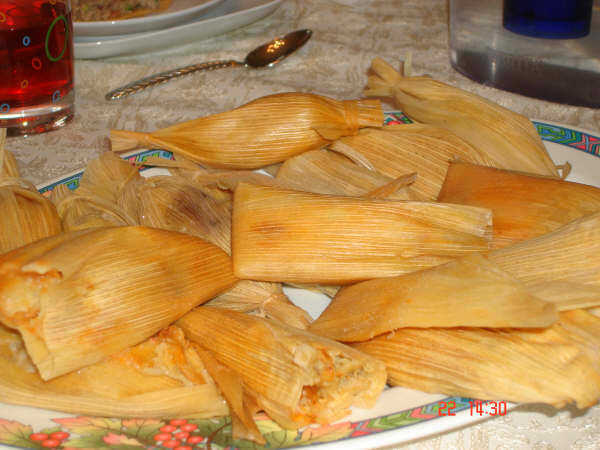 Place on a serving platter and let them cool another 5 minutes, Tamales must be firm to the touch before eating. 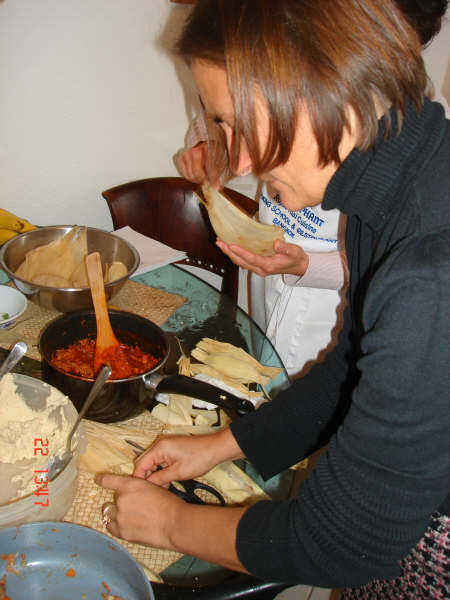 This recipe makes approximately 35 to 40 tamales. We were amateurs at making these, but look at those perfect ones. Leticia made them, of course. Using a 8”x 11.5” inch baking dish, line sliced bananas and drizzle with butter and rum. 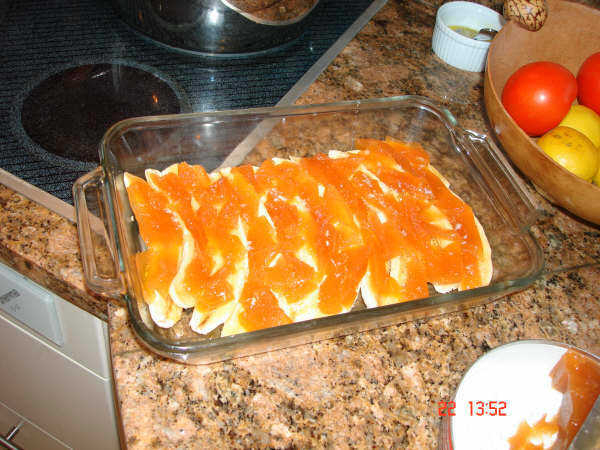 Place a sliver of guava paste on each banana slice. 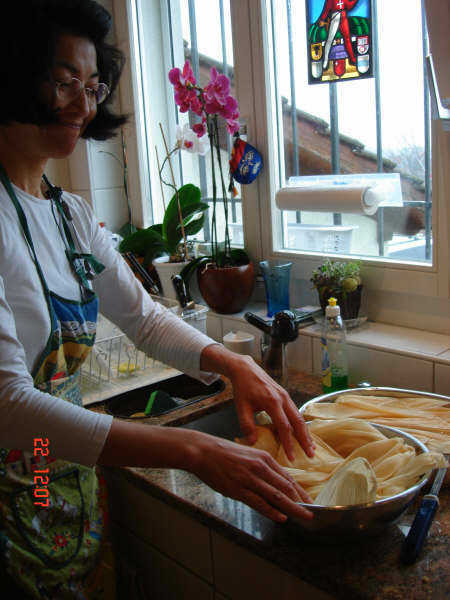 Blend cheeses with vanilla, and put mixture atop of bananas and guava. Top with grated lemon rind and bake for 20 minutes at 180 C.